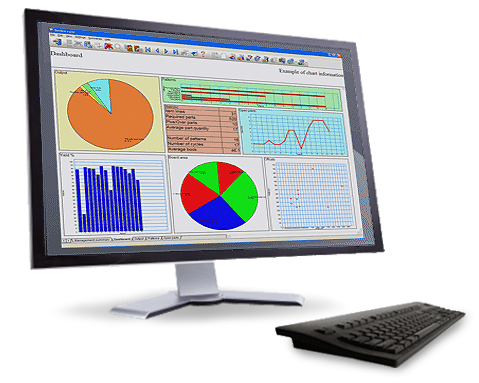 A variety of data can be imported / exported directly from the main package by the user or through stand alone calls directly to the software which require no user interaction. Stand Alone calls can be particularly useful when linking to 3rd Party applications allowing an almost seamless flow of data from one application to another. Data can be imported through a variety of import file formats (e.g. ASCII/Unicode PNX files, User defined XLS or XLSX files) with import errors being recorded to viewable log files. Note: This feature requires a metered network licence for use with web applications / sites. Parts can be imported via the part list import wizard or directly via pre-defined import file formats (PNX, CSV, BTX, XLS, XLSX). Import Product Requirements (Requires the PQ module). Optimised patterns can be imported, through the use of Pattern exchange (PTX ) format files. Export of runs / summaries either in ASCII / Unicode files or an Access MDB database. Import Boards into either the board list or board library with BRD, BDX, CSV, XLS or XLSX pre-defined file formats. The Board library can be set to import data directly from Homag storage systems (Requires the SC module). Import Quotes or Orders through pre-defined files formats (ASCII/Unicode CSV, XLS or XLSX ) (Requires the PQ module). Export of pattern exchange PTX files in ASCII or Access MDB database format for transfer to third-party applications and post-processors. Save time, reduce errors, integrate with third party systems. From import of a basic part list through to integration with 3rd party systems, Magi-Cut provides the tools to import / export your data in a variety of formats saving time on data entry and reducing errors.